Kent SMART Repair provides specialist private / commercial clients with professional Hyundai Sonata bodywork and paint repair services, such as car scratch repair, bumper repair, dent repair and alloy wheel refurbishment, which can take plastic bumper scuffs, bodywork paint scratches, alloy wheel scuffs, small parking dents and dings and stone chips away. If your Hyundai Sonata bodywork paintwork has been damaged by an impact, we can restore your vehicle back to pre-damage condition. Kent SMART Repair provides clients with high quality and professional mobile SMART Repair / crash repair service in Kent, which means your Hyundai Sonata can be repaired at your home or work location with minimal downtime. Hyundai Sonata Scratch Repair in Kent. Hyundai Sonata Bumper Repair in Kent. Hyundai Sonata Dent Repair in Kent. Hyundai Sonata Stone Chip Repair in Kent. Our vehicle technicians will ensure your Hyundai Sonata is repaired to a high standard, at your location and at a time convenient for YOU. Your cars bodywork is an integral part of your vehicle that requires maintenance to ensure it is in good condition. We can repair most types of bodywork damage from parking scuffs to malicious vandal damage such as key scratches. Existing paintwork is colour matched using onboard water based paint systems to ensure colour is consistent and as per your vehicle manufacturers specification. The majority of car bumpers on modern cars are made from plastic. We can repair split and scuffed Hyundai Sonata bumpers. Splits in bumpers can be repaired using plastic welding equipment to ensure your cracked bumper retains its strength after repair. Our mobile car body repair service is a fast, convenient and cost effective alternative to buying a replacement Hyundai Sonata bumper and having to pay for it to be painted and fitted onto your vehicle – this can be up to 2 weeks depending on availability of Hyundai Sonata parts and vehicle turnaround times in the car body shop. Your cars bodywork is an integral part of your vehicle that requires maintenance to ensure it is in good condition. 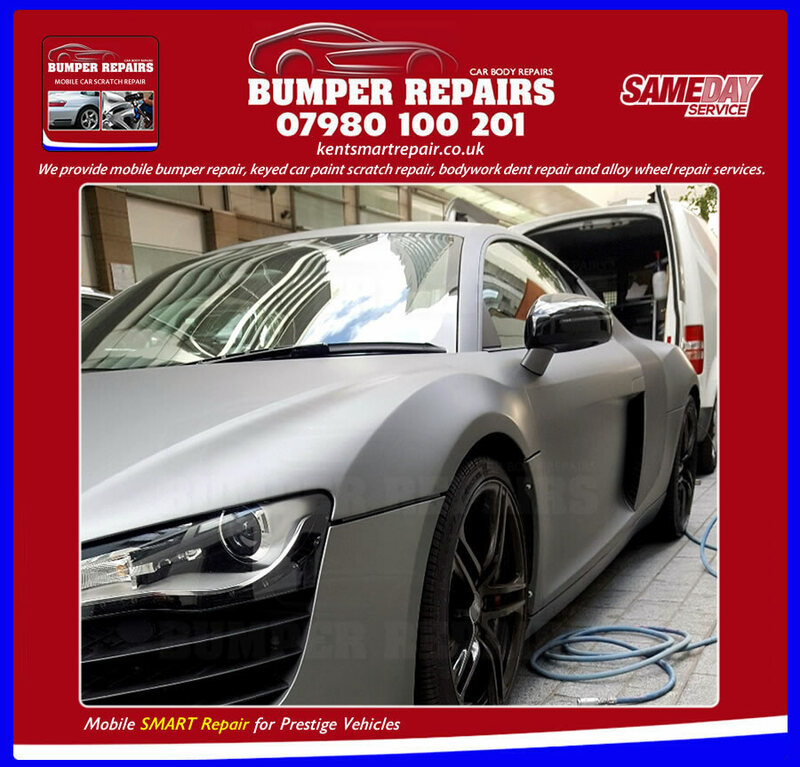 We can repair bodywork damage on doors, quarter panels, rear quarters and tailgates that have been sustained from other vehicles or solid structures like parking bollards. We use a variety of methods to remove the dent and existing paintwork is colour matched using onboard water based paint systems to ensure colour is consistent and as per your vehicle manufacturers specification. Car alloy wheels can be expensive, which is one of the reason why it is a good idea to keep them in tip-top condition, as scratches and abrasions can lead to corrosion and an unsightly appearance. We can return your damaged wheels back to showroom condition at your location, saving you the cost of purchasing new replacement alloy wheels and dependent on requirement, we can even change the colour or colour code your wheels to preference. 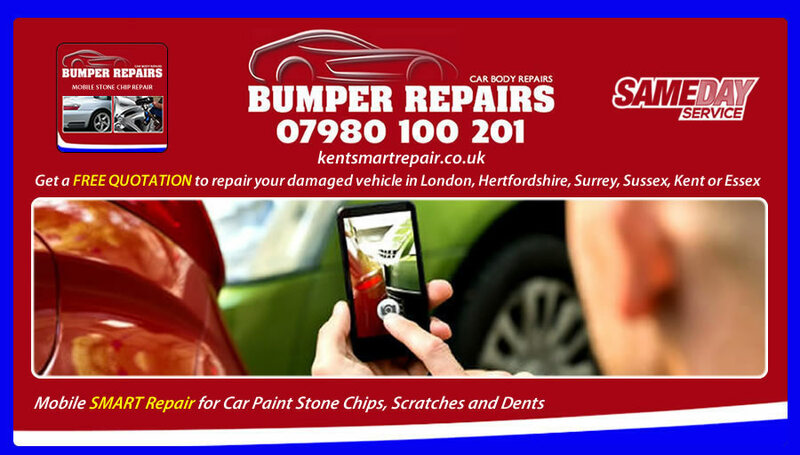 The Kent SMART Repair service is ideal for clients who require an excellent aftermarket repair of vehicle damage. Our mobile car body shop is essentially a light goods vehicle fitted with high quality tooling and paint systems allowing a vehicle technician to undertake a wide variety of motor vehicle repairs quickly and efficiently, with your paint matched manufacturer standard. We have a real passion to provide the best quality mobile car repair service and are confident you will be delighted with the standard of our work on your Hyundai Sonata. Remember you dont need to change your schedule to bring your Hyundai Sonata to us, as we are a mobile service and come to you ! Its never been easier to get your Hyundai Sonata bodywork repaired, so give us a call on 07980 100 201 or alternatively send us some clear images of the damage sustained and we shall provide you with a fast, FREE, no obligation quotation to repair your Hyundai Sonata. 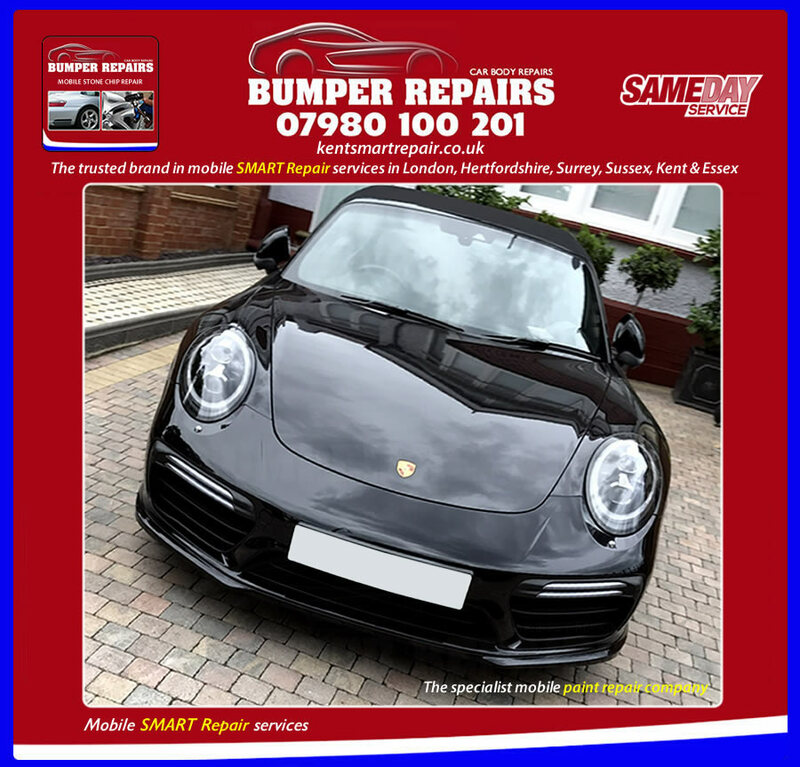 Specialist mobile SMART Repair service that can provide mobile bumper repair, car scratch repair, car paint repair, car dent repair, alloy wheel repair and take stone chips away in Kent.